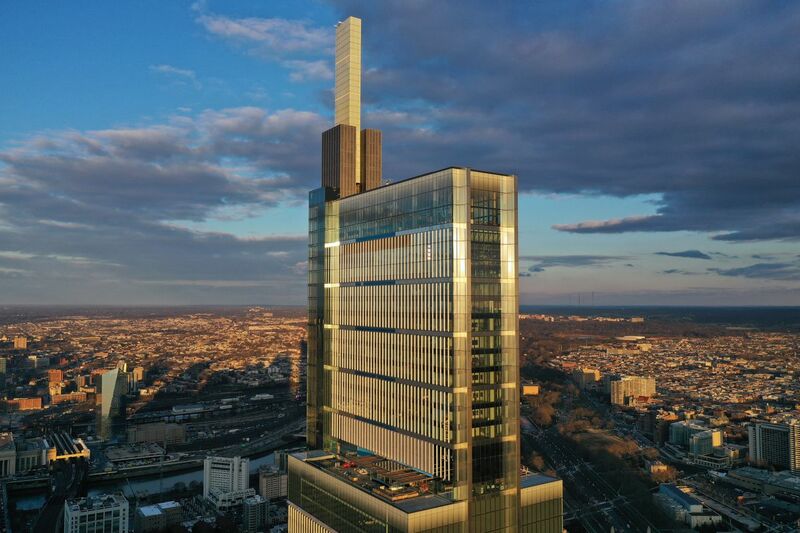 Comcast Technology Center is Philadelphia's tallest building and currently the 10th tallest building in the U.S. Comcast owns NBCUniversal, which says it will launch a streaming service in 2020. For years, Comcast Corp.'s top executive, Brian Roberts, and NBCUniversal’s Steve Burke have been saying that they haven’t seen a streaming business they like. NBCU, internet fuel Comcast’s third quarter. Sky leadership in Europe to stay under Comcast. Comcast-owned NBCUniversal on Monday announced plans for both a free and ad-supported streaming service that will be available in the United States in early 2020, streaming NBCUniversal shows and content over the internet. Unlike ad-free Netflix, NBCUniversal will insert targeted ads into the streaming service. An ad-free version of the streaming service will be available for a fee, which was not disclosed. NBCUniversal expects the service to eventually be distributed globally, launching it overseas through its new European subsidiary Sky. NBCUniversal joins other entertainment giants, such as CBS Corp. and Walt Disney Co., in launching direct-to-consumer services to fuel growth as more subscribers ditch cable TV for streaming alternatives, such as Netflix, Hulu, and Sling TV. NBCUniversal also appointed Bonnie Hammer — one of the top female executives at NBCUniversal, who headed the company’s portfolio of cable networks — as chair of direct-to-consumer and digital enterprises. NBCUniversal’s entertainment cable networks include USA Network and Bravo. “NBCUniversal has some of the world’s most valuable intellectual property and top talent, both in front and behind the camera," Burke said in a statement. “Many of the most-watched shows on today’s popular streaming platforms come from NBCUniversal. Our new service will be different than those presently in the market and it will be built on the company’s strengths, with NBCUniversal’s great content and the technology expertise, broad scale, and wide distribution of Comcast Cable and Sky,” he said. Comcast acquired the European pay-TV and content company Sky last year for $40 billion. Analysts have said they believe that Comcast could use the Sky brand to launch a global streaming service. At the same time as announcing the streaming service on Monday, NBCUniversal realigned other top executives with oversight of the company’s content-production enterprises, one indication of the attention that NBCUniversal is putting on the project. Former Philadelphia Comcast executive Jeff Shell, now based in Los Angeles and heading the Universal and theme parks and movie businesses, will add the NBC television shows, Telemundo, and NBCUniversal’s international division to his responsibilities. He will remain in Los Angeles. Mark Lazarus, chairman of NBCUniversal Broadcast Cable, Sports and News, will assume responsibility for the company’s East Coast news and content businesses, in addition to NBC-owned television stations, such as NBC10, and NBC affiliate relations.